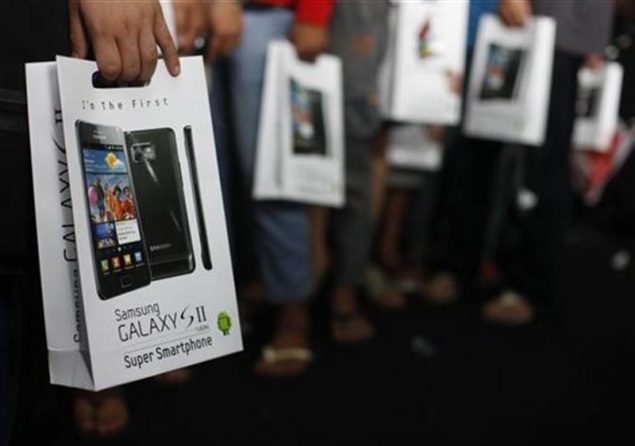 Samsung set to widen smartphone gap with Apple in 2013: Research - Gadgets Info. "We expect the iPhone Mini to be more likely next year, in 2014 when Apple will be forced to discover fresh growth streams," he said. Strong smartphone sales have helped to lift both the company's shares, which hit a record high of 1.584 million won on Thursday, and its earnings, with a record profit expected for a fifth quarter in a row in the latest October-to-December period. The results are expected to be announced early next week.